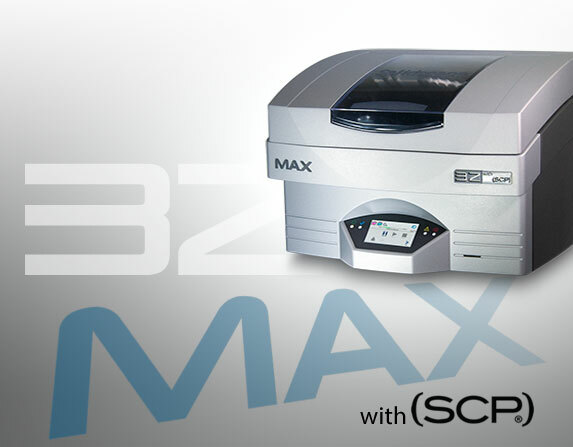 Solidscape, Inc., a Stratasys company, has announced the latest member of their 3Z series of 3D printers, the 3Z MAX. The company’s fastest 3D wax printer yet, it is designed to offer productivity gains in the high-precision 3D printing market for direct manufacturing. Likely applications include jewelry manufacturing, industrial, medical and various other enterprises requiring great detail and fidelity. The 3Z MAX is plug and print with automatic calibration. It features a user-friendly touchscreen interface and software that allows operators of any technical level to produce high-precision wax parts ready for casting. It uses Solidscape’s 3Z Model and 3Z Support materials, offering extreme smoothness and accurate reproduction of intricate geometries with no ash, residue or thermal expansion. Support material is dissolved away using DeWax. Watch Video of 3Z MAX, click here. 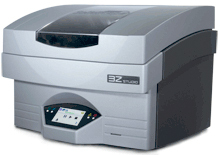 Solidscape®, Inc., the leading manufacturer of high precision 3D printers for direct manufacturing applications, announces the launch of the 3ZSTUDIO 3D printer. Designed specifically for the needs of custom retail jewelers, the fully automated 3ZSTUDIO printer brings the jeweler’s bench to the retail tabletop with Solidscape’s industry-leading surface quality and precision. With one-touch simplicity, jewelry designers and retailers of any technical level can now produce their own intricate wax patterns, ready for casting. The 3ZSTUDIO offers an effortless, affordable workflow that delivers high casting yields, consistent turnarounds and low cost-per-parts economy. The 3ZSTUDIO features include a compact retail tabletop design, an intuitive icon based one-touch screen and variable resolutions for greater control. The 3ZSTUDIO uses Solidscape’s next generation of stronger, more durable materials, 3ZMODEL and 3ZSUPPORT. These materials produce wax patterns that are easier to work with, while retaining the precision and smooth finish characteristics required for successful investment casting. 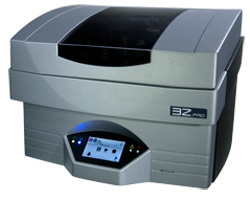 Solidscape®, Inc., a leading manufacturer of high precision 3D printers for direct manufacturing applications, announces the launch of the 3Z™PRO high precision wax 3D printer. With one-touch simplicity, the fully automated 3ZPRO printer brings 3D high precision printing to the office desktop and retail environments. Users of any technical level can produce their own high precision wax parts, ready for casting. The intuitive touch screen uses icons as a common language. Features include self testing and auto-calibration functions, wireless connectivity, and the ability to load and manage jobs from a remote desktop. New user-friendly software enables operators to select incremental printing options using a simple on-screen slider bar. Other software innovations provide greater flexibility in scheduling, simplification of the workflow, and remote management. Solidscape is also introducing the next generation of stronger, more durable materials, 3ZMODEL and 3ZSUPPORT. These materials produce parts that are easier to work with, while retaining precision and characteristics required for investment casting. The 3Z Model Material offers a 23% strength improvement over plusCAST® and is more than 50% stronger than previous generations. This organic compound has a melting point of 221°-239°F (95°-115°C). 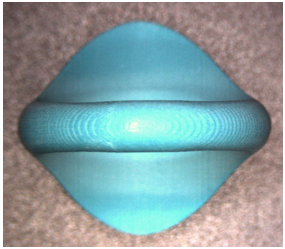 The printer jet expels micro droplets at a high frequency to build a part in a layer-by-layer process. The compound completely vaporizes during burnout for a highly accurate casting. The 3Z Support automatically generates a structure to protect the part during the build process. This saves on labor by eliminating the need for CAD designers to configure support structures during the design of new pieces. Once the printing is completed, labor is saved again because the Support material completely dissolves away in a liquid solution, leaving a clean wax part without the need for manual refining. The material comes in the form of an octagonal “crayon” for dust-free loading in pre-measured amounts. 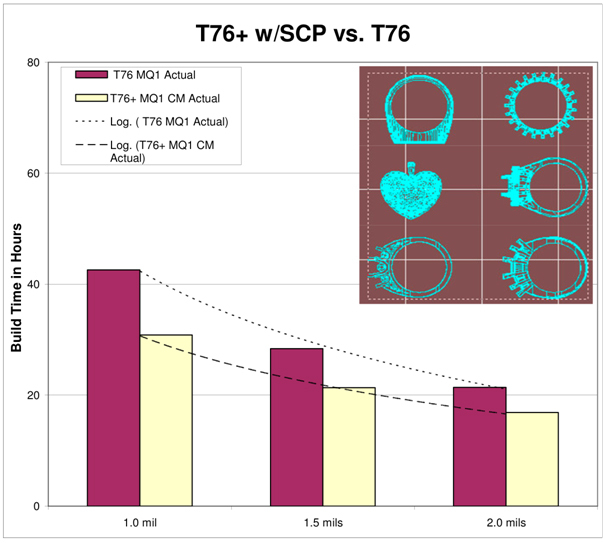 Both the T76+ and the R66+ employ Solidscape’s new proprietary Smooth Curvature Printing (SCPTM) technology. SCP affords the dual benefits of increased print velocity and improved model surface finish by dynamically adjusting carriage velocity to sustain continuous motion along the x- and y- axes while printing the curved perimeters that constitute a model’s outer surface. This smooth curvature printing operation results in more uniform printed lines and eliminates the surface artifacts and delays caused by the jerky, stop-start carriage activity associated with traditional vector printing. Shanks are noticeably smoother and overall throughput has been substantially improved. Current T76 and R66 users who are under maintenance agreements will be able to upgrade their units to the new “+” models at “loyalty pricing” and gain all of the benefits of SCP technology. Upgrades will also be available to those outside of maintenance at standard pricing. 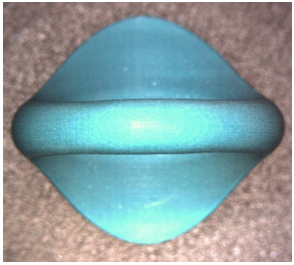 Smooth curvature printing upgrades include both a software component & a hardware component. The latest version of Click-it software that is installed on all T76+ & R66+ products includes support for SCP. All older T76 and R66 products can be upgraded to this version of Click-It that supports SCP.However, only T76 and R66 products that include Rev R or higher PLD programs on the controller circuit card assembly can support SCP. Rev R PLDs are included in all T76s with serial numbers 3337 and higher and on all R66s with serial numbers 1106 and higher. All T76s and R66s with lower serial numbers can be upgraded by replacing the existing controller circuit card with one that is SCP. Click-It software upgrades are available free to all T76 and R66 owners with a current warranty or Manufacturer’s Service Agreement (MSA). T76 and R66 owners with a current warranty or MSA are also entitled to more favorable pricing on upgraded controller circuit card assemblies. Intriguity has been appointed as the Value Added Reseller for Solidscape’s range of products in the India region. This colloboration is further to the visit of Mr Fabio M Esposito to India since Solidscape was looking for an aggressive and technology oriented company to sell & support their products in the India region. 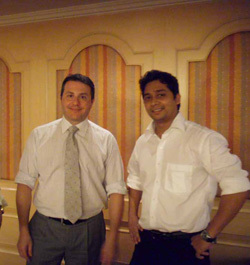 During the visit, Mr Fabio evaluated many companies providing different solution to the jewelry industry in India. During the visit, Intriguity also organized a seminar on CAD/CAM for the jewelry industry where around 20-30 jewelry companies were invited. The seminar included presentations on Rhino software by Mr Vikrant Rawa & Solidscape’s T76 & R66 series of Rapid Prototyping systems by Mr Fabio M Esposito. About Solidscape : Solidscape, Inc. designs, develops, manufactures and sells model making hardware and software. 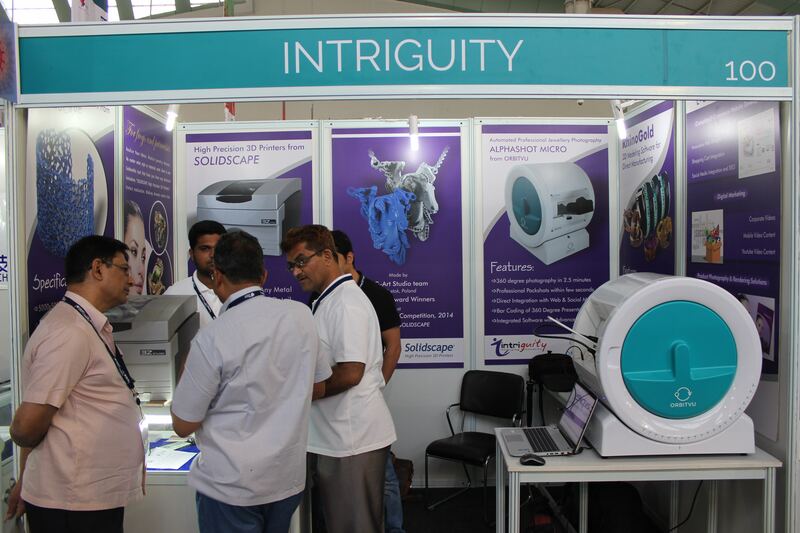 About Intriguity : Intriguity is a CAD/CAM company based in Mumbai implementing various solutions to the jewelry & engineering industry.